Hammock Dunes Club, a private oceanfront member-owned and operated club along the Atlantic Coast in Flagler County, announced today that Executive Chef Lance S. Cook, CEC, CCA, WCEC, CFBE, FSM, was awarded two Gold Medals by the American Culinary Federation (ACF) in the National Chef of the Year Competition Semifinals and Hotel, Motel and Restaurant Supply Show. The National Semifinals competition took place in January,2019 at the Culinary Institute at Virginia Western in Roanoke, Virginia, and was streamed globally. On January 30th the Hotel, Motel and Restaurant Supply Show took place in Myrtle Beach, SC where Chef Lance Cook received a Gold Medal and second place overall out of 35 contestants. The ACF is the largest professional chefs’ organization in North America, with more than 15,000 members nationwide. A graduate from The Culinary Institute of America in Hyde Park, New York, Executive Chef Lance Cook joined Hammock Dunes Club in 2017 from Eau Gallie Yacht Club. 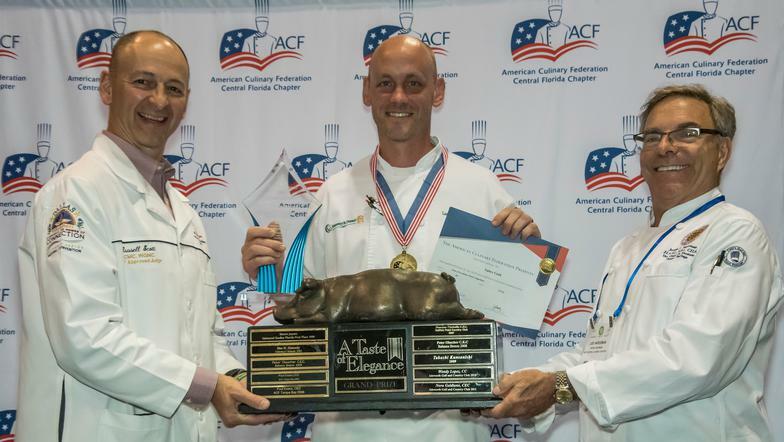 Since earning his degree, Chef Cook has been awarded honors/certifications through the American Culinary Federation (ACF), American Hotel and Lodging Educational Institute (AHLEI), World Association of Chefs Societies (WACS) and the Chaine des Rotisseurs. Hammock Dunes Club is known for its unmatched oceanfront lifestyle along the coast of Florida. In addition to decadent cuisine and oceanfront dining by Chef Cook, the golf experience at Hammock Dunes Club consistently ranks among the top residential courses in the U.S. by Golfweek. The golf experience at Hammock Dunes includes two 18-hole layouts, the Links Course, designed by Tom Fazio, and the Creek Course, designed by Rees Jones, which will play host to the 2019 Florida Open in July. The club is also set to unveil a $7.2 million expansion project later this year to showcase a newly remodeled 40,000 square-foot oceanfront Links Clubhouse that includes a new fitness center, expanded 19th Hole Bar with outdoor dining and open concept kitchen. To learn more about membership opportunities, please call 386-445-0747, email [email protected] or visit https://www.hammockdunesclub.com/. A private oceanfront member-owned, member-operated club along the Central Atlantic Coast of Florida, Hammock Dunes Club provides an oasis of relaxation for its membership with more than five miles of oceanfront property. Hammock Dunes Club provides a welcoming community for those seeking luxury amenities and an unmatched oceanfront lifestyle. 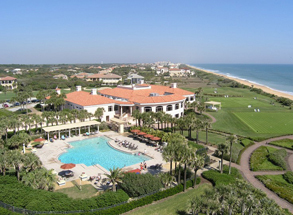 The club is home to two 18-hole golf courses – the Creek Course designed by Rees Jones and the Links Course designed by Tom Fazio – which consistently rank among the top residential courses in the U.S. by Golfweek and will host the 2019 Florida Open. Hammock Dunes holds a distinguished Emerald Club of the World ranking by Boardroom Magazine since 2013 and provides its members with the perfect balance of comfort and luxury.